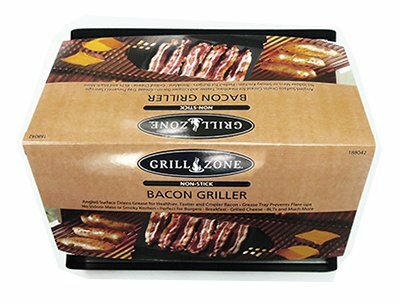 Grill zone, non-stick Bacon griller, the angled surface drains grease for crispier, healthier, tastier Bacon, the grease tray helps to prevent any flare-ups, eliminate indoor messes & smoky kitchens. This product adds a great value. Product is highly durable & very easy to use. This product is manufactured in China. If you have any questions about this product by Blue Rhino Global Sourcing, contact us by completing and submitting the form below. If you are looking for a specif part number, please include it with your message.